2. On the General tab, select the check box to enable discovery, or you can configure discovery now, and then return to enable discovery later. 3.Browse the path to select specify the account to use as the Active Directory Discovery Account. 4.Click OK | OK to save. 5.On the Polling Schedule tab, configure both the full discovery polling schedule and delta discovery. click Properties to open the Discovered forest properties. 2. On the General tab, complete configurations for the forest that you want to discover and specify the Active Directory Forest Account. Open the URL and right click on the animation screen of Adobe Shockwave player and select Properties. Check if the "Automatic Updates Service" is disabled. 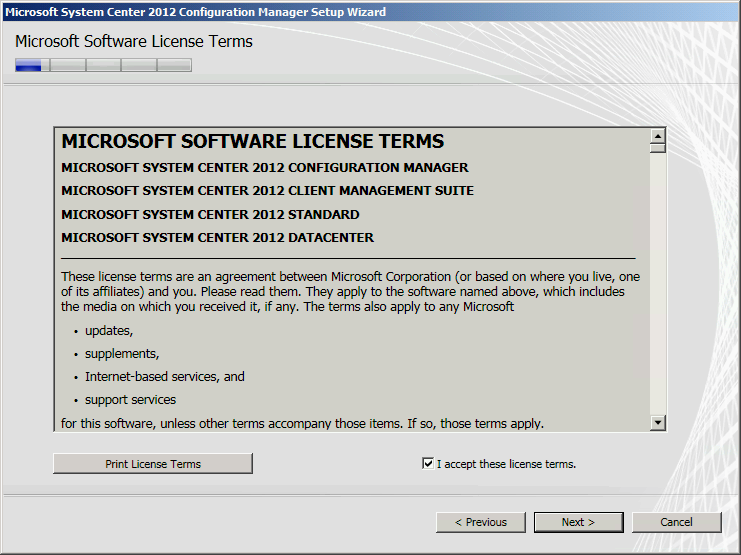 Log on as the admin user for SCCM installation. Configuration Manager requires Windows Server Update Services (WSUS) of at least version 3.0 SP2 with KB2720211 and KB2734608 installed. 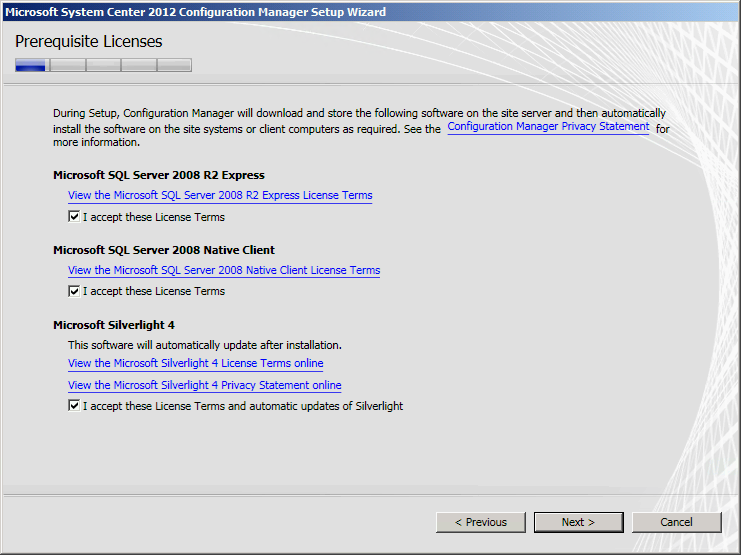 If using remote software update points, site server must have WSUS administration console installed. For more information on WSUS installation see http://go.microsoft.com/fwlink/?LinkID=79477. Configuration Manager requires SQL Server to reserve a minimum of 8 gigabytes (GB) of memory for the central administration site and primary site and a minimum of 4 gigabytes (GB) for the secondary site. This memory is reserved by using the Minimum server memory setting under Server Memory Options and is configured by using SQL Server Management Studio. For more information about how to set a fixed amount of memory, see http://go.microsoft.com/fwlink/p/?LinkId=233759. Click Start, click Run, and then enter dsa.msc to open the Active Directory Users and Computers administrative tool. Expand the System container, right-click System Management, and then click Properties. In the System Management Properties dialog box, click the Security tab, and then click Add to add the site server computer account. Grant the account Full Control permissions. Click Advanced, select the site server’s computer account, and then click Edit. In the Apply to list, select This object and all descendant objects. Click OK and then close the Active Directory Users and Computers administrative tool to complete the procedure.